Get a great night sleep in our upgraded rooms with 3 sheet bedding with extra pillows, Refrigerators in all rooms and much more! Indoor pool, whirlpool, sauna, wireless internet, suites, and deluxe breakfast. Minutes from Cedar Lake Arena, Cedar Lake Speedway and the Apple River. Restaurants, lounge, and theater within walking distance. 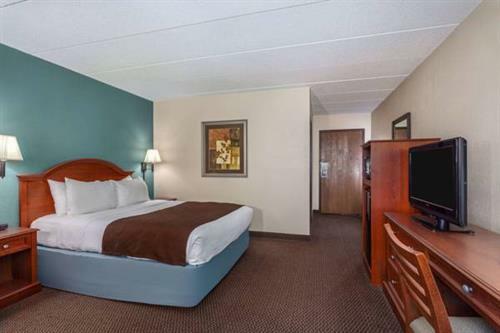 At every AmericInn hotel you can expect the highest level of service, the quietest rooms in the business, oversized accommodations and a long list of amenities including an inviting pool, free high-speed Internet access, DirecTV, complimentary breakfast and much more. 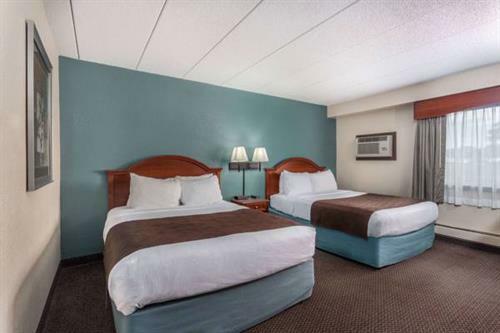 Whether you are on a family vacation, a romantic getaway, traveling on business or with a group, you can always look forward to relaxing at the end of the day at AmericInn. 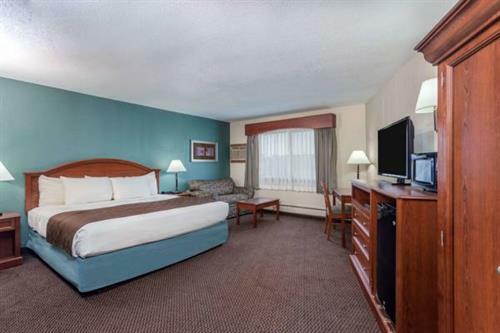 Newly Remodeled All rooms and Lobby!